Short review: yes, Trixie Cat Activity Fun Board worth buying! Regardless if you are a veteran pet owner or a new pet owner and you have done your “due diligence” before owning one, chances are you through experience or through your veterinarian know that your furry family are just like us humans. They need love, affection, joy, clean water and food, a safe space to stay in and a good amount of education and exercise. I am not saying that you send your cats to college or anything, education in this particular case is teaching our fur babies how to use their skills, instincts, and mind to be better survivors or be the best version of their cute little self. And exercise does not only mean putting them on a leash and walking them around, it also means putting them through activities that would enhance their bodies like dexterity exercises and conditioning exercises. Enter, Trixie Cat Toy 5-in-1 Activity Center. Fair warning, this is going to be a long blog ahead, but it will be well worth it as well as the product. 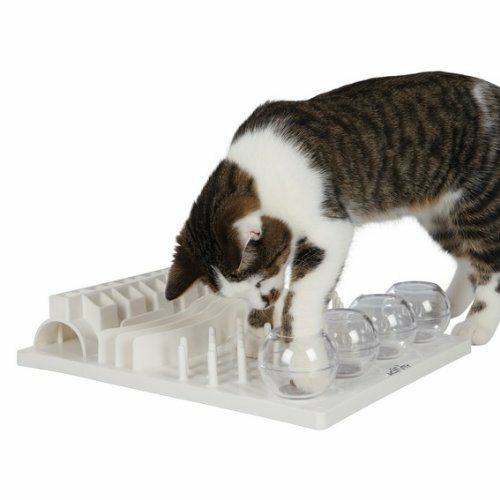 Trixie’s 5-in-1 Activity Center is a more or less a fun game and activity board for cats, that doubles as a feeder and a great way to motivate them to be active and use their natural skills and curiosity. The Trixie’s 5-in-1 Activity Center is a fun board that measures approximately 12 x 16 inches and weighs about 3 pounds and is made of non-toxic hard plastic and is dishwasher safe so you do not have to fear any food going stale on them because they are easily washable. I was given the Trixie’s Cat Toy 5-in-1 Activity Center by a friend who noticed that I have three active cats that are always either lying and lounging around the house or chasing after their laser cat balls then go and beg for food from me or from guests. 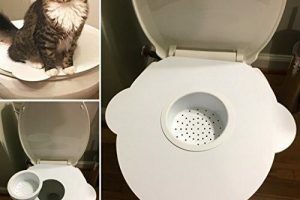 Apparently, my friend saw it on the internet and thought it would be best for my cats, and he was absolutely right. Cats are naturally curious and inquisitive animals, they are quite witty and clever too and the Trixie’s 5-in-1 Activity Center is puurrrfect for them. This game has five different parts, each has their own logic and reason behind their design and is intended to target certain parts of your cat’s senses. It also has over 1000 amazon positive reviews which is pretty rare. You can read them here. The globes are located at the top, or the bottom depends on how you orient the Trixie’s 5-in-1 Activity Center. 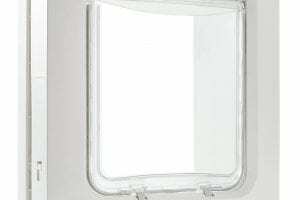 They are four transparent bowls that can be filled with cat treats for your cats to fish out. Now, remember cats are nearsighted animals so that they can hunt and capture prey better. Because of this, they need to use their sense of sight and hearing better, putting food and treats inside small, transparent bowls would require them to investigate closely and try to use their paw to fish out treats. This feature of the Trixie Cat Activity Fun Board helps them exercise their vision and their dexterity as well as cleverness and curiosity in a manner that is very natural to them. The peg part of the Trixie’s 5-in-1 Activity Center on the other hands is a bunch of non-pointy pins about an inch long with small spaces between them big enough for a paw to fit in. 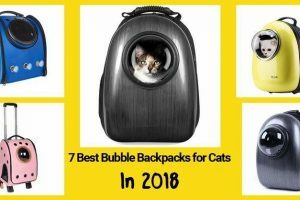 As opposed to the globe, your cats can easily see the treats inside the pegs, but they would be faced with the option of finding innovative methods to try and find ways to get or retrieve their food or their treats. This is an easy favorite for some of the younger kittens or the smaller cats because they can see the food and identify where they are and they can easily paw or push food out of the pegs. Right beside the pegs is a maze-like wave of plastic walls more or less as high as the pegs and it also has spaces in between them for dry treats and food. The alleys are another easy favorite for my cats in my experience because they can smell and see the food directly. This is best for lazy or older cats, they can just sit or lie down and paw the treats out. What challenges my cat with the alley though is their patience. Some of my cats would give up halfway through pushing their food out of the alley, as a supportive feline parent you can’t help but give the treats a push sometimes. I advise you not to do it though, some cats like one of our big ones tend to get possessive with their Trixie Cat Activity Fun Board that they would think that you are trying to invade their space. 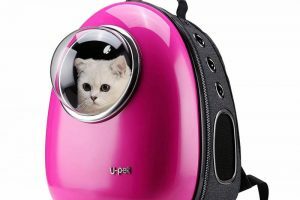 It is very, very necessary for your cat’s development to not help them out with the activities of the Trixie’s 5-in-1 Activity Center, especially when you are just beginning to use the product. We want our furry babies to learn that being active and diligent in playing with the Trixie’s 5-in-1 Activity Center, means food or positive reinforcement. I seldom put any dry treats or food inside the slits or tongue module, I would usually place liquids in there at varying levels of height and random placements. After months of using and playing with the Trixie’s Cat Toy 5-in-1 Activity Center, my cats have learned quickly that there are some modules that they can cheat in and use their tongue to get the treats and there are some that are quite hard. 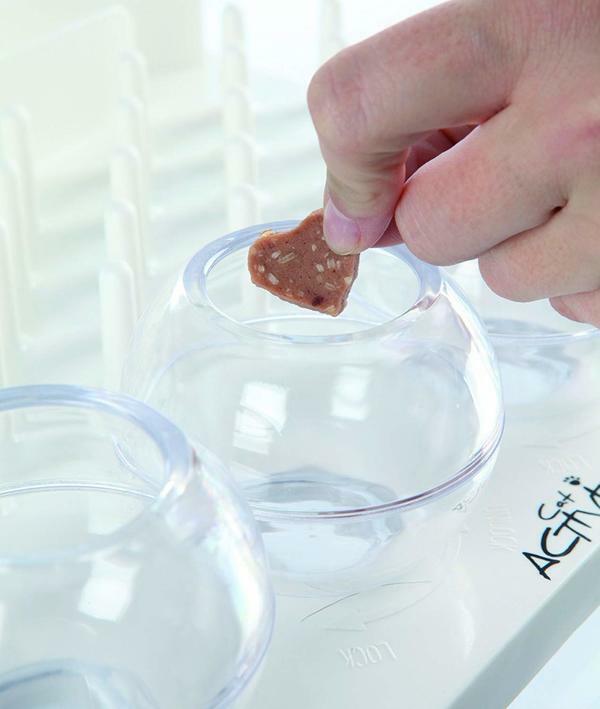 The slits or tongue module in the Trixie’s 5-in-1 Activity Center is one of those, but when you used different types of heights in the liquid or mix them in with dry treats and place them at random holes, it can be great for your cat’s investigative and curiosity skills. 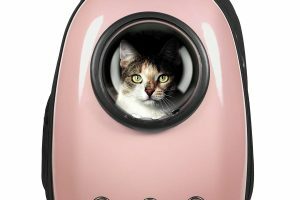 The tunnel module of the Trixie Cat Activity Fun Board is a real no-brainer for cat enthusiasts or cat owners. Our feline family members are naturally curious and think that all holes are mouse holes for stalking or poking at to check for treats and foods. 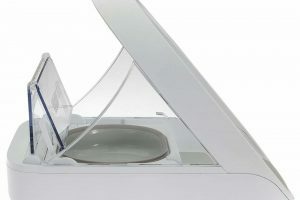 What I love about the Trixie’s Cat Toy 5-in-1 Activity Center’s tunnel system is that, just like most holes or obstacles designed in it, it discourages or makes cheating impossible. The Trixie’s 5-in-1 Activity Center would require your cats to poke with their paws to get the treat. It is hard enough to make them work for the treat, yet easy enough to be doable with a little patience and a little ingenuity. I have not experienced this personally, but some of my friends who also have the Trixie’s 5-in-1 Fun Board say that theirs slip and slide all over the place. I placed my Trixie’s Cat Toy 5-in-1 Activity Center on top of a rug, maybe which helps in my case? 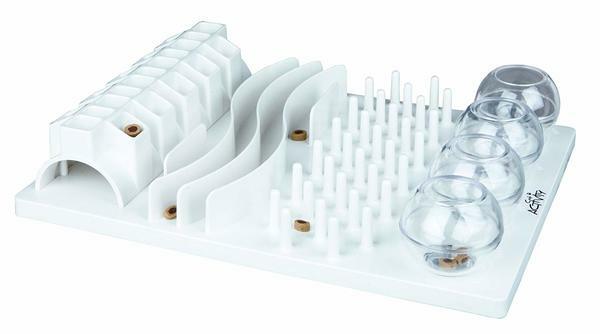 Also, there are pegs at the bottom that you can adjust to avoid slippage. Just like what I do, I suggest also that you used a nylon or organic rug, it makes slippage impossible and it also makes cleaning easier for those errant treats or food that might spill over. Initially, I thought that my cats would somehow find a way to flip over the Trixie’s 5-in-1 Activity Center, but in more than half a year of using the Fun Board, they have not managed to do it. For those afraid that the Trixie’s 5-in-1 Activity Center would be too light for bigger cats? Hold your horses (cats) it is quite heavy for a feline, and in my opinion and experience, near impossible to topple over as long as it is put on a flat surface. Trust me, I have a big Persian who thinks highly of himself and he has not toppled the Trixie Cat Activity Fun Board since. Which also makes a good segue for our next downside in my opinion. Since I have one big cat, he tends to lord over the Trixie’s Cat Toy 5-in-1 Activity Center and he thinks that it is “his” own toy and that nobody else is allowed to play on it when he is there. During the first few days of the Trixie Cat Activity Fun Board, we noticed that our other two, smaller cats would not touch it. Then my sister noticed that the other two loves playing in them at night when Porter, our big Persian is with my mom. So we tried to lure Porter out during one of his playtimes and lo and behold, the two other smaller cats, jumped on the Trixie’s 5-in-1 Activity Center and started gleefully playing on it. That’s how we found out that some bigger cats tend to be territorial with the Trixie Cat Activity Fun Board, and it scares some of the smaller ones out. That is also the reason why we now have two Trixie’s Cat Toy 5-in-1 Activity Center at home so our fur babies wouldn’t have to fight over it. The upside to using the Trixie Cat Activity Fun Board is surprising for fellow feline parents. 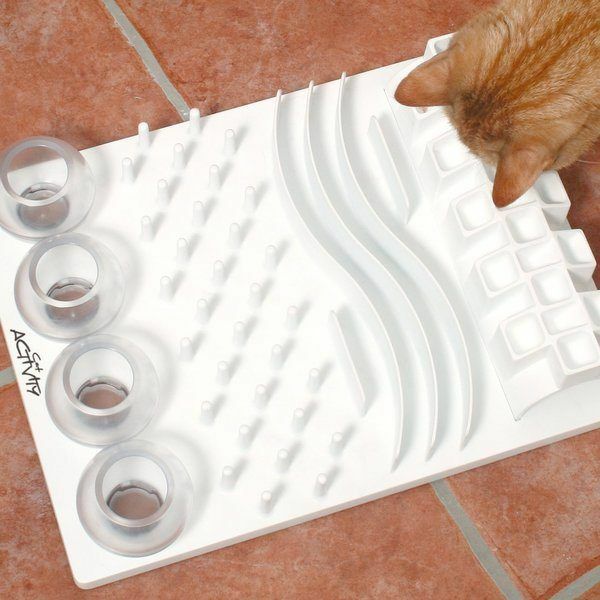 One, you would get to know more about your cat’s behavior just by observing them playing on the thing. We’ve had our cats for years, but ever since we had the Trixie’s 5-in-1 Activity Center, we have noticed little unique things about them. We noticed that Porter, is left-handed (left pawed?) or let us just say, left dominant. We noticed that he is like an old man, very methodical in his actions and grumpy when he does not get the results that he needs. While he is grumpy, we also noticed that Porter is very patient and would go and attack a problem with determination until he gets what he wants. The other two, Sydney and Bullet are the same that they look at the Trixie’s 5-in-1 Activity Center as a group activity. They are less focus on the problem, bouncing from one module to the other and would eventually be stealing each other’s food or each other’s reward from the Trixie’s Cat Toy 5-in-1 Activity Center. We have also noticed that during the first months, they would not stop playing with the Trixie’s 5-in-1 Fun Board till all the treats are out or till they get tired, now we noticed that they already that the Fun Board is always going to be field with treats, and when they need a quick fix or a reward, they just need to visit it and be diligent about it and be patient till they get one. 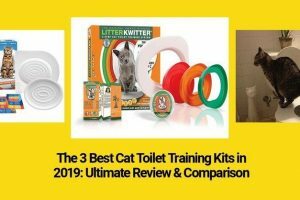 It is such a rewarding experience that you would think that I am exaggerating when I say that I am proud of my feline family since learning about them and getting to know them better with the Trixie’s 5-in-1 Activity Center. I wish I would have known about this product earlier in my cat raising life, I would have loved to have known my other cats more. I and my sister would sometimes hang out and talk about our older cats that have since pass away and think how much could we have learned about their tendencies, behaviors, and characteristics had we had the Trixie’s 5-in-1 Activity Center while raising them. Sure we have had other digger toys and poker playthings for our cats before but the Trixie Cat Activity Fun Board takes it to another level.